Hostel One Camden is a hostel designed, run and loved by backpackers for backpackers! Even though it is part of a chain, each of their hostels are unique and aim to offer the most comfortable and enjoyable experience to each guest, with great atmosphere, spacious accommodation and the way to any traveller’s heart: free dinners! Join them for delicious daily homemade food, perfect to meet fellow travellers and start the night right! Located in the &apos;hip&apos; & &apos;trendy&apos; Camden district, at a walking distance to Camden Market and the neighborhood’s buzzing nightlife, they are also next to the super efficient London Underground, making each and every corner of the city easily accessible. It really is the perfect place to call home whilst you explore the magical city of London! At Hostel One Camden, you will get free WiFi, large private lockers, soft towels and 24h reception and security. Choose between dorms of 4, 6 or 12 beds and make the most of the hostel&apos;s facilities including a laundry service at an extra cost, a fully equipped kitchen accessible 24/7 and a tours and travel desk. Explore London and see some of the city&apos;s hidden gems that most tourists miss with the hostel&apos;s free day activities or join them for a few traditional pub games before they take you around the fashionable, hip neighbourhood of Camden. Enjoy traditional British drinks and take part in Hostel One Camden&apos;s weekly Pool, Darts and Foosball competitions! The Mapesbury Hostel offers budget accommodation in a convenient and quiet location in North West London Zone 2, near Kilburn underground station found on the Jubilee Line. Mixed and female dorm rooms of 10 and 14 beds are available for those looking to meet and socialise with other friendly travellers. You can also choose from private rooms for 1, 2, 3, 4 or 6 people and studio apartments for 2 people, fully equipped with your own private ensuite, and kitchenette. All rooms and studios have fresh linen, color TV, wardrobes, towels, welcome packs, wooden floorboards, a bar fridge, heaters and access to coin operated washers and dryers on site. Mapesbury Hostel is more of a friendly, relaxed ‘homely’ accommodation rather than a party hostel. It has a great atmosphere where you can socialise with other travellers to give you that feel for London life. There’s no curfew, so you can discover the beautiful city on your own terms! All bedding is provided. A large, fully equipped shared kitchen, a comfortable lounge room with plasma T.V, a garden area, a night caretaker, daily cleaners and free WiFi are all part of Mapesbury Hostel. Pickwick Hall provides accommodation for tourists, students and other people who require cheap, clean and attractive short or long-term lodging. The hostel is situated in central London, in the famous area of Bloomsbury, where artists and writers such as Dickens have lived for centuries. Pickwick Hall is very conveniently located in a quiet street of Georgian townhouses, about a three minute walk from the British Museum and the University of London and about 10 minutes from the entertainment and shopping districts of the West End, Covent Garden, Soho and ChinaTown. There is easy and direct access from Heathrow Airport by tube, straight to Holborn Station on the Piccadilly line or by A2 Airbus to Russell Square. Choose either ‘en-suite rooms’ with their own private bathroom or the less expensive ‘standard rooms’ with showers and toilets shared with a limited number of other guests. Whichever you choose, the rooms will be furnished and equipped to the same level of comfort. Bed linen and towels are provided; a washer and dryer are available for your clothes; a free continental breakfast is offered and a fully equipped kitchen is available to prepare your own meals. There is also a sitting room with cable television and high-speed Internet. The staff is on hand to answer your queries, speaking, Spanish and French and a high standard is maintained to ensure your stay with Pickwick Hall is comfortable. Being a small hostel you can expect personal attention and good accommodation at a reasonable price. Located in the upscale neighbourhood of South Kensington next to Hyde Park and close to several of London’s best museums including the Natural History Museum, V&A Museum and Science Museum, guests have praised Astor Hyde Park Hostel for being conveniently located in a ‘wonderful area close to everything but also far enough away to be off the tourist trail’. One reviewer said this is ‘a great hostel if you’re looking for somewhere central in London without paying a fortune. We like their relaxed, friendly and helpful staff’. Everyone wants you to have an incredible experience at Astor Hyde Park so every detail – from their super clean bathrooms and comfortable pillows to their unforgettable social events – aims to be perfect, giving you a London adventure that is 10 out of 10! 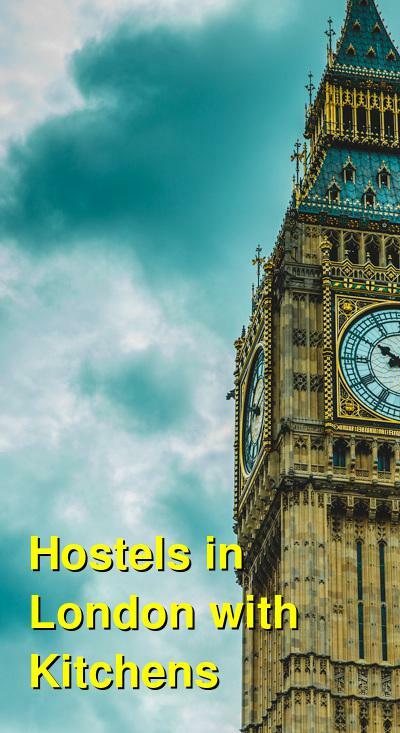 The hostel is a short walk from London&apos;s best transport connections, including direct trains to Heathrow Airport and all of London&apos;s attractions. 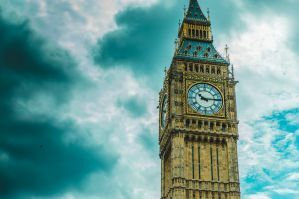 If this weren&apos;t enough the iconic pubs, excellent shopping, amazing restaurants and occasional celebrity sighting make it the perfect place to live while in London! Choose from twin private ensuite rooms or mixed dorms of 4, 5, 6, 9, 10, 12 and 15 beds. Female dorms of only 6 beds are also available. Enjoy free fast WiFi throughout the building as well as free computers access, 24-hour reception for anything you may need including a late check-in or early check-out. There is also CCTV Security monitoring, free security lockers for your valuables, free luggage storage available before check-in and after checkout, laundry facilities available 24-hours, hair dryers and ironing facilities free to use, all you can eat breakfast for only £1 with all proceeds going to charity, wonderful fully equipped kitchens with large fridges available for food and drinks storage, a dining room and common area to enjoy a meal or meet fellow travellers and a beautiful lounge area with comfy sofas and enormous projector screen for movies and sports! Free city maps, tourist information, walking tours and advice on local attractions and transport, daily events specially organized for you, padlocks and adaptors free of charge with a £5 deposit, discounts at local restaurants and coffee shops, towel Hire for only £1, free printing facilities and an ATM cash machine are also all available during your stay at Astor Hyde Park.